Area residents have both levels of schools in the area from elementary to secondary all within walking distance for their children to attend. Hillcrest elementary can be seen from many of the homes facing 66th avenue, perfect for parents who wish to watch their children trekking off to school each day. Regardless, the school is only a hop, skip and jump from anywhere within the complex. Clayton Heights is only a couple blocks away across Fraser Hwy. for the teenagers living in the community. Hillcrest Elementary is a K-7 school with enrolment at 559 students as of Sept 2010. It is located at 18599 65th Avenue in Cloverdale and opened its doors in Sept of 2000. With such a growing population in this community, Hillcrest was already in need of expanding. They are presently gearing up to break ground in January 2011, for the start of a new wing to be ready for school opening in September 2011. Hillcrest is not only a very academic school but also prides themselves in their athletic programs, consistently coming in as one of the top athletic schools in their category. They are known as the Hillcrest “Titans”. The school boundaries are from 64th avenue to Fraser Hwy and 184th Street to 190th St.
Clayton Heights Secondary school is located at 7033 188th St it is one of the 2 major high schools in the area. With over 1200 students and serving families in Cloverdale east of 184th St. and as far north as Port Kells and south to 40th Avenue. The school opened in 1999 and is comprised of students from grades 8-12. Their school mascot is Nightmare and their team names are the Nightriders. The local French immersion school is Martha Currie Elementary and they have been open since 1994. The school is located at 5811 184th St. Many of the schools throughout Cloverdale also provide Martha Currie students for their late entry French immersion program in grade 4. They are a K-7 school that feeds in to Lord Tweedsmuir Secondary school. Lord Tweesdsmuir Secondary is the largest of the area high schools housing approximately 1700 students as of Sept. 2010 and located at 6151 180th St. They are an academic English and French immersion school that encourages student involvement, from their choice of a variety of sports to getting involved in a wide range of activities and clubs. They are known as the Panthers. The school has been around since 1946 but was originally a school for grades 10-12 until 1993 when Cloverdale Junior school closed and later became Martha Currie elementary. 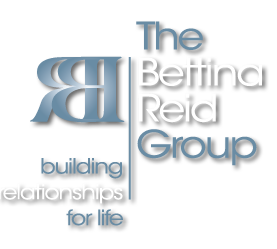 The Bettina Reid Group was founded in 2010; Kara Berman and Bettina Reid offer their clients a wealth of knowledge and experience. Instead of just one Realtor you have a dedicated team of educated professionals who have specific knowledge about your home and the community you live in. Our goal is to exceed your expectations and provide you with exceptional customer service every step of the way and beyond.